Compared to the Holy Spirit, the human spirit is not a separate entity from the human being. Human beings are comprised of two parts: a physical body and a spirit. 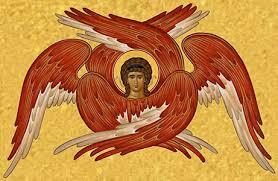 In contrast, the Spirit of God is an entity by Itself without a physical body (Ezek 36:25-28; John 14:26). Compared to the Holy Spirit, angels are similar in that they are both spirit beings without a physical body; however, the Holy Spirit is not a type of angel nor created as angels were. The phrase "the Angel of the Lord" is not a type of angel; instead it is a title reserved for the pre-incarnate form of Jesus Christ. One, Two, Three… How many parts can man be? Who is "the Angel of the Lord / God"?